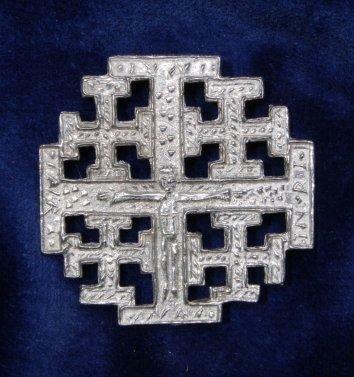 Cross of Jerusalem. 4cm across. Copied from the collection of the Cluny Museum, Paris.